I have some very sad and heartbreaking news, friends. 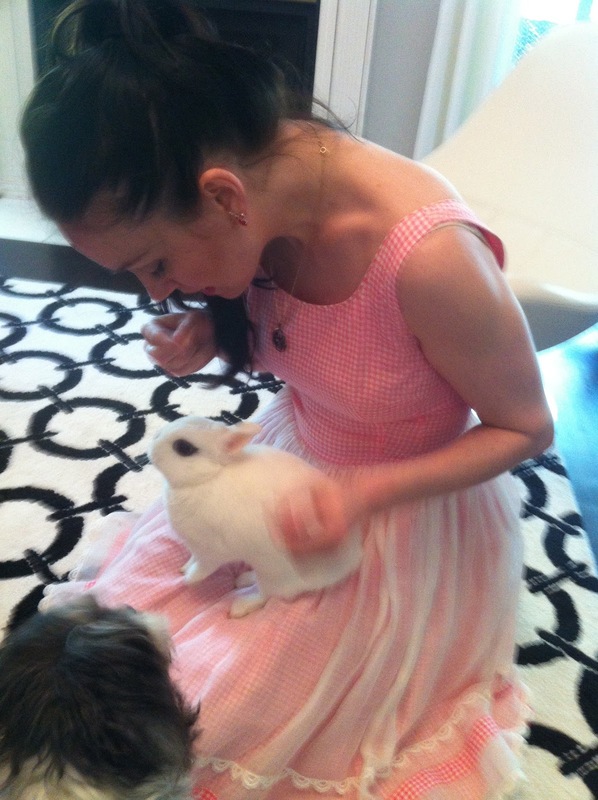 If you don't follow me on social media, then this might be your first time hearing that Bandit has hopped to bunny heaven. He had a few health issues lately (bladder surgery, eyelid surgery, hurt foot) and he went to the vet last week for his third surgery since November. Though the surgery was successful, he went into cardiac arrest upon waking and his little heart stopped. He was just a month shy of his 7th birthday. Bandit has been the star and namesake of this blog since I started it almost five years ago! I'm just not sure what to do now - how do I continue The Dapper Bun without the dapper bunny? 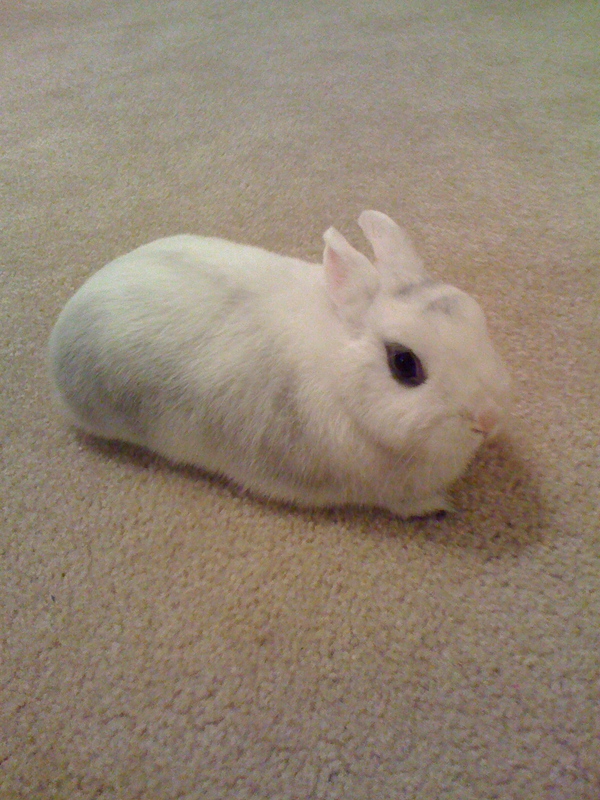 I'm so sad that my little friend, my little bunny, conejito, coelho, coniglietto, зец, lapin is no longer by my side. It seems empty here without him running around. It has taken me a little while to get this post together because it still seems unreal - like just a bad dream. Here is a cute video I made for Bandit. I had forgotten about all the footage I saved throughout the years until I opened my iMovie and found the folder of video clips! I'm so glad I have this. This was our very first outfit post - throwin' it back to 2010! This picture is from the day I brought Bandit home...in a cardboard box! These few pictures are from his early days! 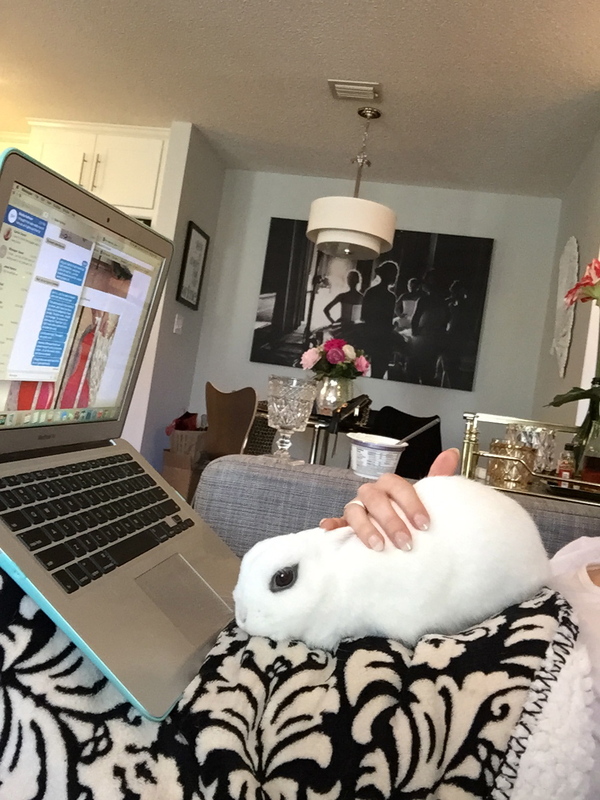 Here is Bandit and I, hanging out on the computer just a couple of months ago! This is a really old picture of Bandit laying on the bed, but I always thought it was funny! 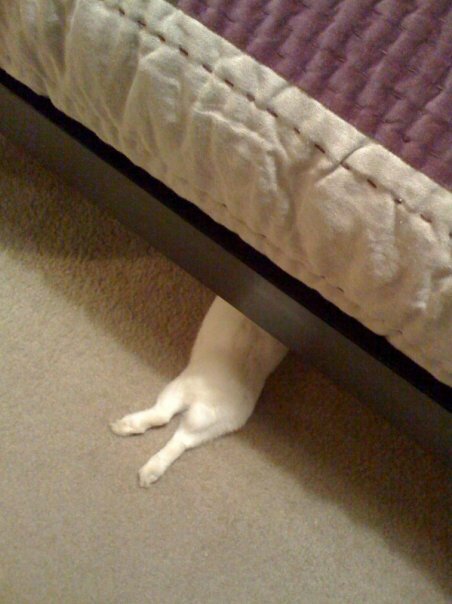 I called this "under the bed bunny." This photo has been the background on my phone for the past six years! This photo was taken after I moved into my own apartment and Bandit went exploring inside the fireplace! At my old apartment, Bandit and Sugar Plum would sit at the edge of the kitchen watching, at waiting, for something tasty to come their way! Bandit always made a mess of his veggies! I arranged them neatly on a paper towel but then he made his own veggie art. I loved it when Bandit laid with his feet out behind him - so funny! Though in retrospect, he hadn't done that much lately. I wonder if it's because his abdomen was sore. He loved to climb up in a lap for a treat! I can't remember why I took this photo, but Bandit looked cute. 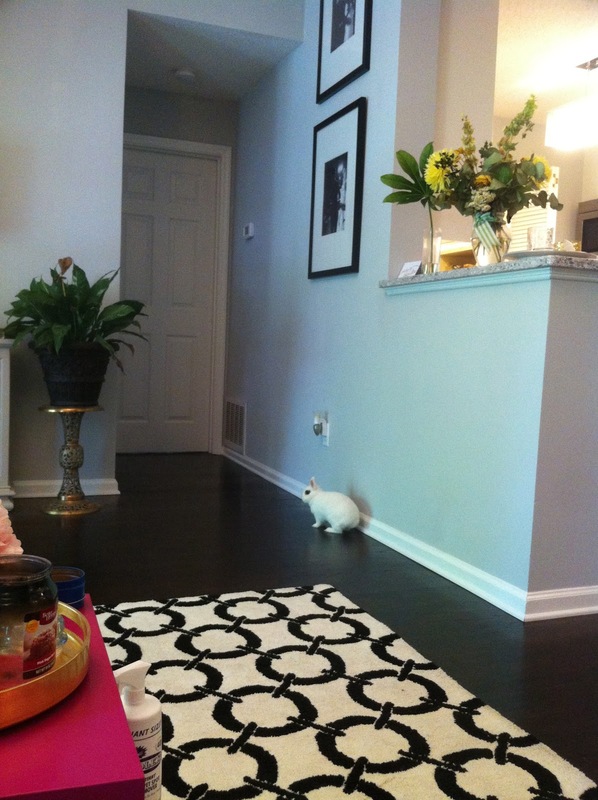 He was running along the baseboard towards the guest room! 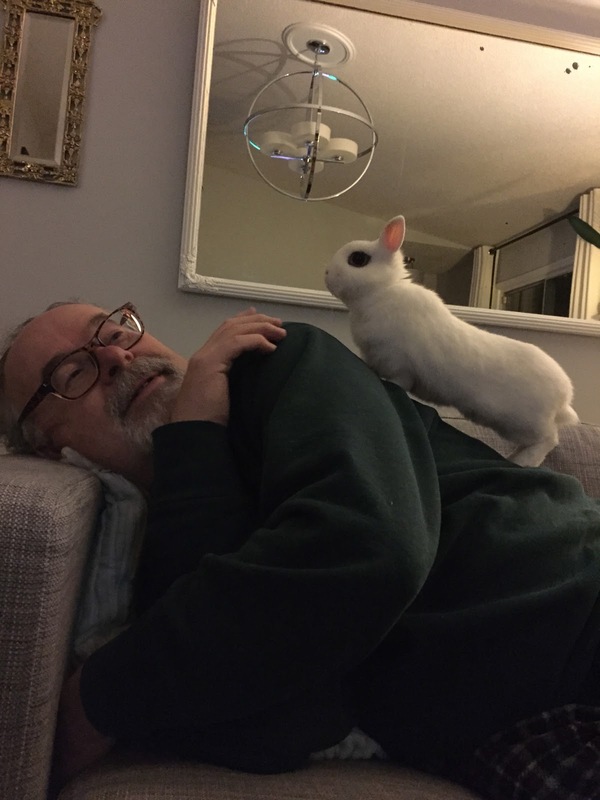 Lately, when my Dad visited, Bandit climbed all over him like a mountain! Right after his eyelid surgery - he cuddled up next to me on the couch all morning. 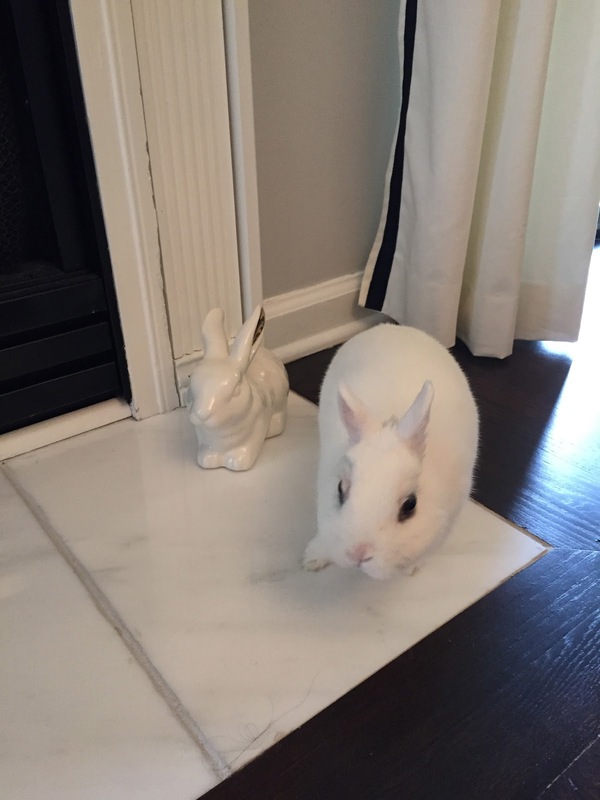 This is the last living picture I took of Bandit, the day before his surgery, as he was checking out the ceramic bunny I bought at Target. I am so sorry to hear this news! Bandit brought so many smiles. I am glad you have your videos and hope that you can take comfort in memories. I'm so sorry for your loss. I can tell that you loved him dearly. I lost a few angels over the last few years. 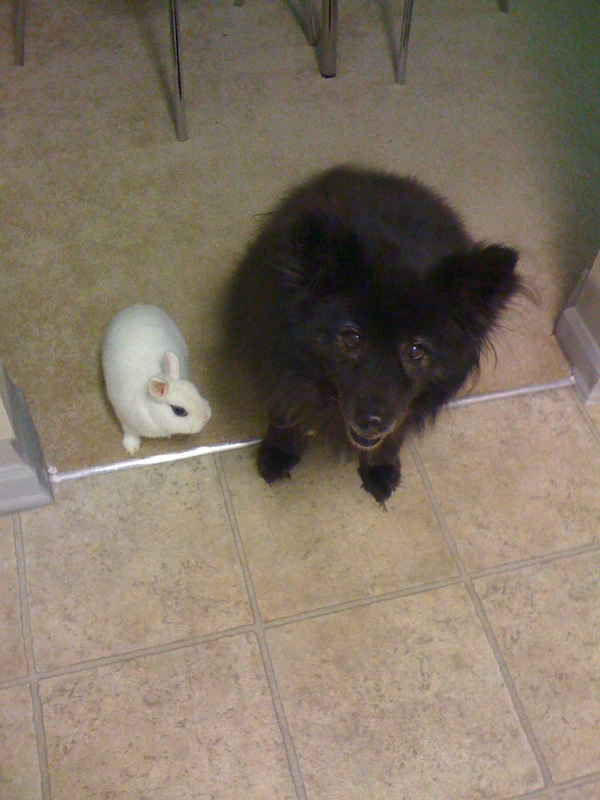 My Wooley's (a Jersey Wooley bunny) death was one of my last blog posts. Prayers for you, I know Bandit is heaven with my loves! im so sorry b is not longer with you! prayers! xO! Awww...I'm so sorry to hear this! 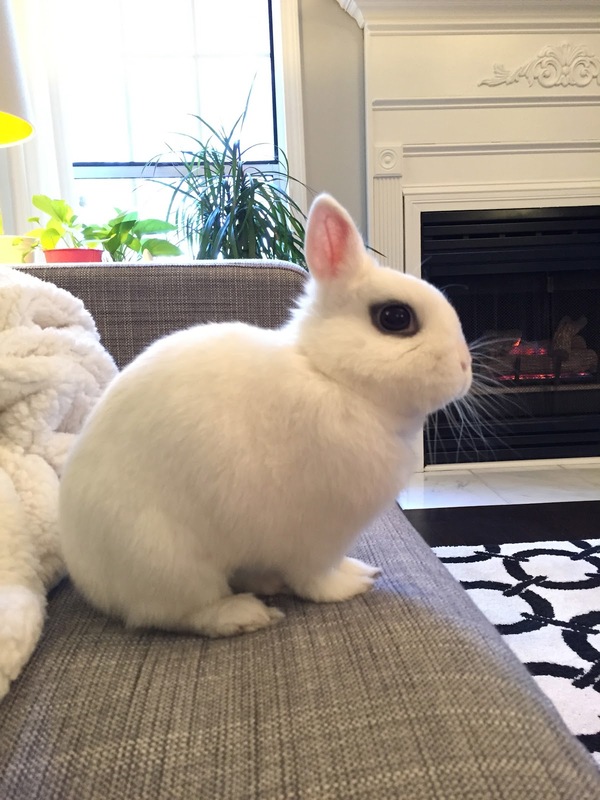 He is such a cute bunny. You have a lot of great memories to look back on. I'm hoping you start to feel better soon! So sorry to hear this! 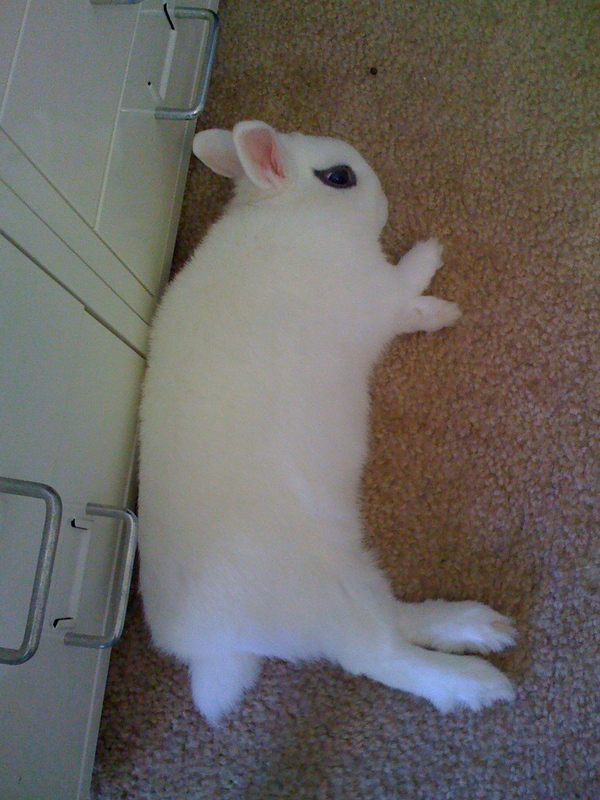 I lost my pet rabbit about a year ago, and I miss her lots. :-( Prayers and all the best to you! oh, I'm so sorry about your sweet conejito. He was a sweetheart. Loved seeing him in your pictures.